In Sara Haghighat-Joo’s first bout, she faced off against Ingrit Valencia, the world’s current 10th ranked boxer in her weight category. Unfortunately, Sara was on the losing side of a 5-0 duel, where the southpaw from Columbia showed solid boxing skills. Although Sara’s Pan Am experience was short, she is still motivated to bounce back and represent Canada at the highest level in the near future. In his first bout of the tournament, Bryan Colwell faced off against Nicolas Rubens, a southpaw boxer representing Haiti. In a solid display of discipline and execution, Bryan wins his preliminary dual (5-0) in a convincing manner. 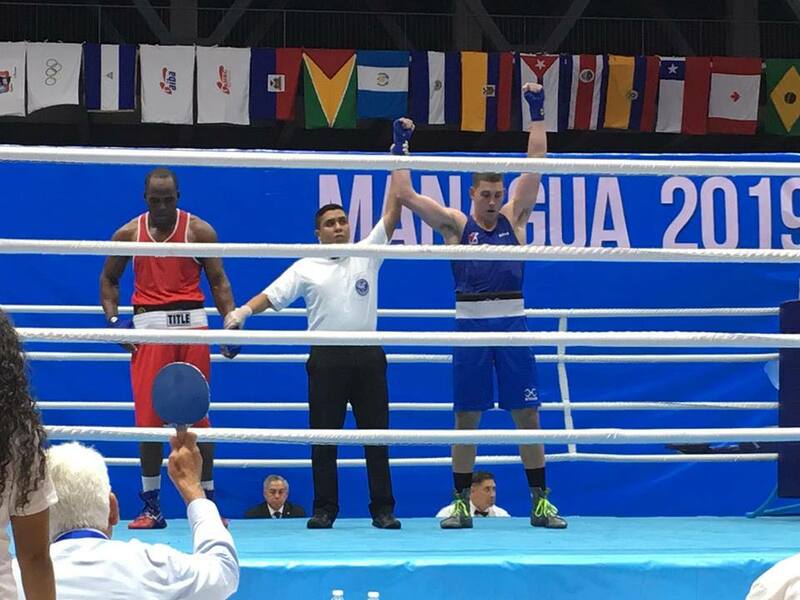 With this victory, Bryan advances to the quarterfinals scheduled on Saturday, where he will be facing current #1 ranked heavyweight boxer Savon Erislandry from Cuba. Make sure to tune as we wish Bryan good luck for one of the toughest challenges he will face in his boxing career. 69 kg Myriam Da Silva’s preliminary bout will be held on day 3 of the tournament during the evening session against Kimberly Gittens from Barbados, hoping to advance to the quarterfinals. 75 kg Nickenson Denis was granted a first round bye and will face Hebert Da Conceição for his first bout of the tournament on April 6th as well. 60 kg Irene Fiolek was equally granted a first round bye and her opponent has yet to be determined between Maria Palacios (ECU) and Kiria Tapia (PUR). The bout will take place on April 7th. 75 kg Tammara Thibeault will debut her tournament in quarterfinals along with the rest of her weight category. She faces off against Flavia Teresa from Brazil, on April 7th. For any further information concerning schedules, draw sheets and results, make sure to visit our Event page as documents will be updated throughout the competition. Best of luck to Team Canada as the 2019 AMBC Pan Am Games Qualifiers continue!